Osteopathy Treatments - Specialist Osteopaths - Enquire today! 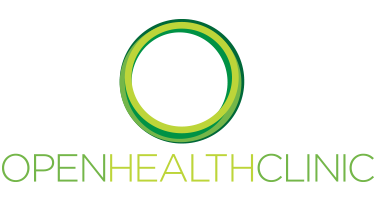 Osteopathy has been central to Openhealth since the clinic’s inception. 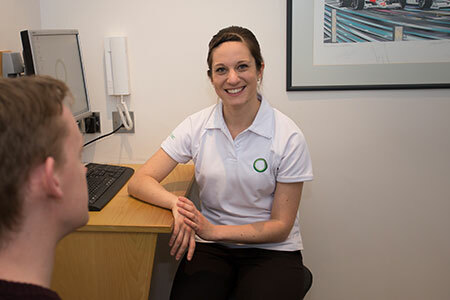 Our team of Osteopaths look after hundreds of patients each month and are well regarded by both GPs and Surgeons throughout the area. From newborns to old age and from head to toe, Graeme, Sian and Toby aim to address patient concerns swiftly and efficiently, with prompt referral where appropriate. Graduated as a Registered Osteopath in 1999, having previously qualified as a Sportstherapist. In terms of sports related work he has tended to specialise in both Golf and Polo, from keen amateurs to PGA Professionals and International Polo players. More recently, Graeme has travelled with the Mercedes AMG Formula One (TM) team supplying MSK support to the raceteam and drivers. 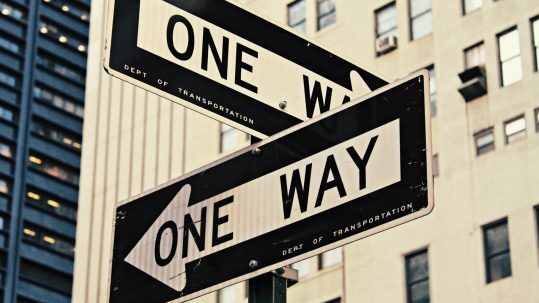 However, it is the more chronic and long standing injuries, where maybe previous intervention has proved ineffective, that Graeme finds most challenging. Over his twenty years experience, he has also formed very close working relationships with top Orthopaedic Consultants both locally and in London. Sian was inspired to train as an Osteopath after receiving herself for a back injury which enabled her to return to her then passion of dance. She now enjoys being able to provide the same assistance to others. Since qualifying, Sian has developed a keen interest in the cranial field of osteopathy. She now enjoys achieving great results on a wide range of conditions including both physical and emotional trauma, headaches and pregnancy related aches and pains. Sian likes to take into consideration each individual’s goals and needs and enjoys being able to make a difference, from new born babies to professional athletes she accepts the challenge no matter what age or ability. Toby graduated from the British School of Osteopathy with Distinction and also completed sports massage training at the London School of Sports Massage. Since then he has treated patients from all walks of life, and enjoys helping patients get back to activity with a mixture of hands-on and rehabilitation work. Prior to becoming an osteopath he was a professional ballet dancer, and inevitably has an affinity with helping dancers and their injuries. He has had research on dancers and osteopathy published in the Journal of Bodywork and Movement Therapies, and is also a Registered Practitioner with the British Association of Performing Arts Medicine. What is Osteopathy and what does it do? Contrary to popular belief, Osteopaths treat more than bad backs. At the very centre of Osteopathy is the belief that the body operates as a single unit in which structure governs function. This philosophy governs all bodily functions from the movement of our limbs to the competence of our cardiovascular system. To be an osteopath means being able to assess and treat the whole body, seeing the interactions between body parts and systems, and intervening where healthy function has been disrupted. An Osteopath has a uniquely wide set of tools to choose from. The aim is to restore balance to the body, not just in how it moves, but also in how it functions between activity and rest. For example, joint mobilisation can help improve the flexibility of joints whilst massage and stretching techniques can improve muscle function. There are also indirect techniques, such as cranial and functional which can help calm the body, enabling a better environment for repair. Our Osteopaths have the extra luxury of working within a multidisciplinary team. So, when more strength or movement coaching is required, we can refer you in-house to one of our Rehab experts. Alternatively, many patients find Sports Massage of great benefit, and our Osteopaths can liaise with our Massage Therapists about your individual case to maximise the benefits.